You never think it will happen to your family. You know you all want the best for your dad. That means when he needs help, you’ll all be in agreement. It’s not always the case. You may find there is a lack of harmony when it comes to caring for an aging parent. Here are tips to help you through this emotionally challenging situation. Suffering sells. While that may not be comfortable to think about, the media gets far more attention when reporting tragic events than they do happy ones. It’s why you see so many stories about abuse of the elderly, improper care, and senior citizen fraud. Yes, there are horrifying stories of things that can happen. The thing is that that’s a small percentage. According to the National Alliance for Caregiving and the AARP, there were more than 43 million unpaid family caregivers in the U.S during 2015. The Bureau of Labor Statistics puts the number of paid personal care aides at more than 1.7 million in 2014. That’s a lot of seniors receiving homecare. Compare those numbers to the number of stories you’ve seen over the past year? It’s not quite as alarming when you look at the numbers. You should do your research before hiring caregivers. Check credentials. Read state reports. Ask the agency what background checks are run before they hire a caregiver. Ask to talk to current and past clients. If you spend time making sure you have the best homecare professionals, your mom or dad will be in good hands. The decision to bring in homecare is already stressful. Don’t make it worse for your dad or mom by arguing in his or her presence. Feel free to discuss your frustrations and concerns, but do it amongst yourselves. Listen openly and try to look at both sides. Create a list of concerns and then address them individually through research, interviews, and advice from friends and neighbors. If you still can’t reach an agreement, look into mediation services. 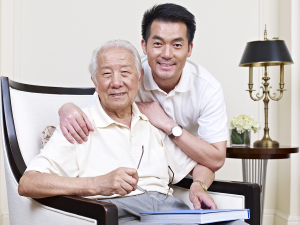 Be sure you include your mom and dad when interviewing homecare agencies. Everyone needs to be able to ask questions that are on their mind. Your mom or dad’s input should take priority. Call a homecare agency today to get answers to your questions about caregivers. For Homecare Services in Memphis TN, please contact the caring staff at Personal Care Services MidSouth today! This entry was posted in Homecare Memphis TN, Personal Care Tips and tagged Homecare Memphis TN. Bookmark the permalink.